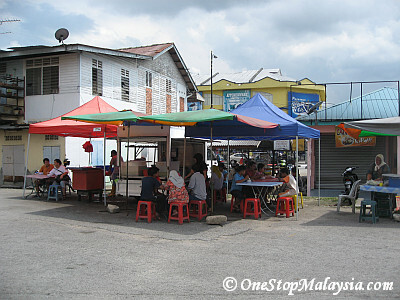 This cendol stall is located in the small town of Masjid Tanah, some 30km to the North-West of Malacca town. It is operated by an ex-army Malay man by the name of Wahab. Many tourists don't know about this place, but this place is crowded with locals. Are you willing to drive the distance to try it out? Let me tempt you. 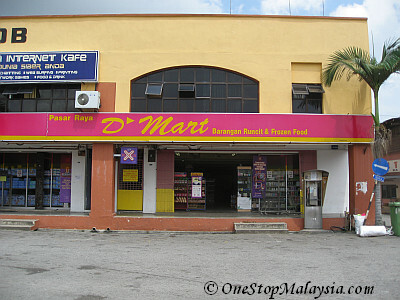 I was told that some call this the "D-Mart cendol", as it is located right beside a grocery store by the name of D-Mart. It opens around lunch time till late afternoon. I don't know how to describe it, but it is one of those "moving stalls in a van" type of vehicle. There are several table around it. Now, on to the cendol. 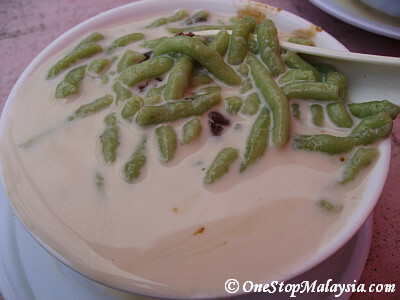 It serves up the same stuff: cendol in santan (coconut milk), gula melaka and red beans. However, the cendol is slightly different. It is thick and a little bit crinkled. It is not the silky smooth and shiny ones that you usually get somewhere else. Also, unlike some others, they put the gula melaka at the bottom, so you really need to stir it up well. So, how it tastes? Mmmmmm.......Mmmmmm...... It is really good. The gula melaka is thick and tastes good. The santan is fresh and at the right thickness. The cendol jelly is just nice and not too tough. And the bowl is pretty big as well. Eating two bowls might be enough for lunch. This is easily among the best cendol in Malacca one can find, if not the best. It's hard to compare with the ones at Museum Cafe and Ole Ole Baba Nyonya, as they are different. But I would say it is worth to travel here, especially if you are from the North e.g. KL, Seremban and are on the way back from Malacca. Feel free to add any comments or ask any questions below.